Imagine the sensory satisfaction of a premium cigar from Cuba, where the tobacco leaves are still wet with flavor but roasted for a smooth burn. Add a crème finish as though a cold spoon of ice cream topped off that drag. 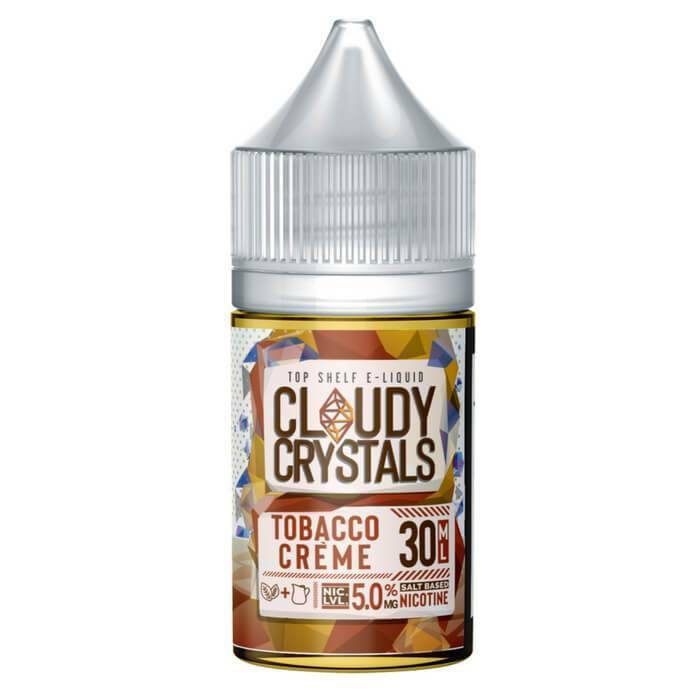 Enjoy Tobacco Crème Cloudy Crystals E-Juice responsibly – try not to disappear entirely into the rich, satisfying experience of this sensual vape. This product is specifically designed for use in pod-based devices and other low output atomizers.